Vicki is a second generation piper Vicki - performing regularly on the Scottish Smallpipes, Borderpipes and Swedish säckpipa. The Scottish Smallpipes have a much mellower sweeter sound than their big brother the Great Highland Bagpipe. The border pipes have a similar timbre to the Highland Pipes but are much quieter. 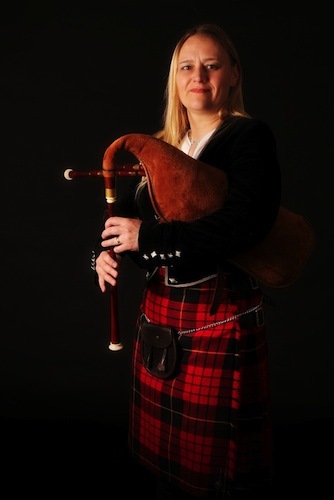 Vicki holds the Brons Award from the Swedish Zorn Jury for the traditional playing of the Swedish Säckpipa. If you're looking for a piper but with a more subtle sound the border pipes are perfect for both weddings and funerals. Vicki can take requests given enough notice.